A pitch to describe UTOPIA, the results achieved so far and its potential developments. That's what we held on March 7th in Stockholm on the occasion of the EIC Investor Day @NASDAQ. 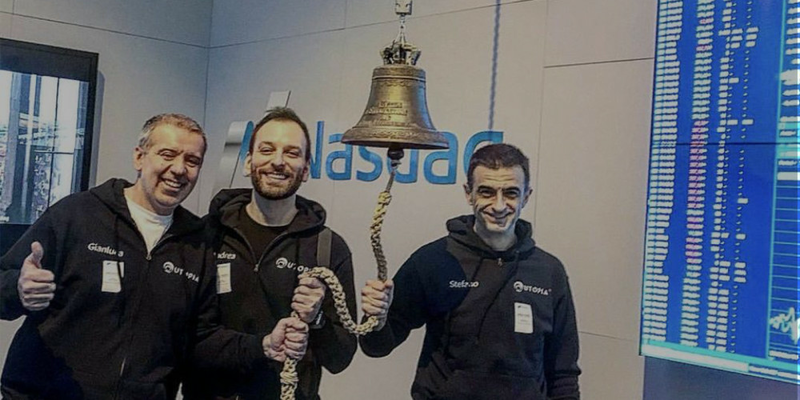 The event was promoted by the EIC business acceleration services together with Nasdaq First North, one of the main exchanges for European SMEs seeking to raise capital in public markets. It has collected 15 SMEs funded under the EIC SME Instrument program that work on deep tech and are in an upscaling or growth phase. In this international context we have had the opportunity to listen to the experience of some entrepreneurs who have taken the path of the IPO but, above all, to present our project to the best European venture capitalists with the aim of involving them in the path of development and internationalization that we have already started. Currently UTOPIA is only available in Italian and English languages, but in the coming months it will also be released in German, Spanish and French. With this operation we intend to contribute to the security of the data of European citizens, becoming a reference solution for all SMEs that need a complete tool to manage the obligations of the GDPR.